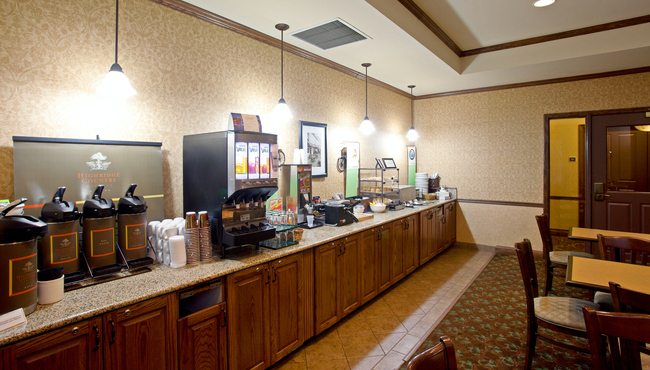 Admire the North Carolina sunrise over a plate of buttery waffles when you sit down to the complimentary, hot breakfast served daily at the Country Inn & Suites, Asheville West. You can toast a bagel and dig into hearty helpings of French toast or scrambled eggs while you peruse a free weekday newspaper. Headed out for a tour of the Biltmore Estate? Grab a doughnut and a piece of fruit for the road. When you’re ready for an entertaining dinner, check out local Asheville restaurants like Cúrate, which serves up creative tapas in a warm, inviting atmosphere.